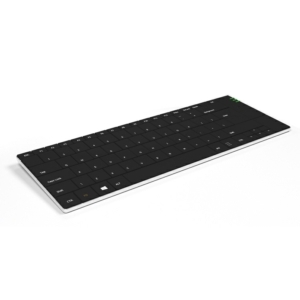 We have a wide range of mini keyboards and compact keyboards which offer an effective ergonomic solution for computer use. Our mini keyboards (also known as short keyboards) don't have the in-built number pad on the right-hand side, meaning the mouse is kept closer to the user. This prevents unnecessary stretching and promotes a more natural posture, ideal for preventing and managing conditions such as Repetitive Strain Injuries (RSI). 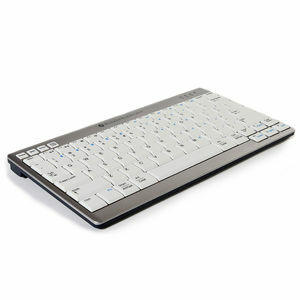 We also have wireless compact mini keyboards which are perfect for mobile workers and portable use. If you require a number pad then check out our range of separate number pads which can be positioned on the opposite side to the compact mini keyboard. Why use a compact mini keyboard? 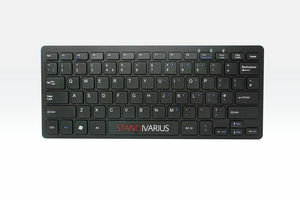 Standard-sized keyboards cause the user to stretch to reach their mouse which places unnecessary pressure on the body. Our compact mini keyboards allow the mouse to be positioned closer to the body, reducing strain on the shoulder and wrist. A further benefit of our short keyboards is portability due to the size and lightweight nature of the keyboards. They are ideal for hot-desking and portable workers when integrated in one of our ergonomic laptop kits. 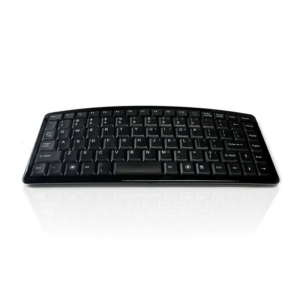 Our mini keyboards have a range of features for individual requirements. 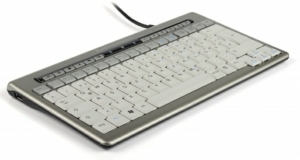 We have wireless versions available for improved portability and also soft-touch keys on the Ergostars Saturnus keyboard which reduce the pressure required to press keys - ideal for conditions such as Raynaud's phenomenon and arthritis. All of our mini keyboards are Windows compatible but many are also Mac compatible. Order one of our compact mini keyboards today!